From June to August in a blink of an eye! That’s what summers as a floral designer feel like sometimes. Now that it’s August, it’s finally time to share this wedding from earlier this summer at The Round Barn! First, the bride’s bouquet! 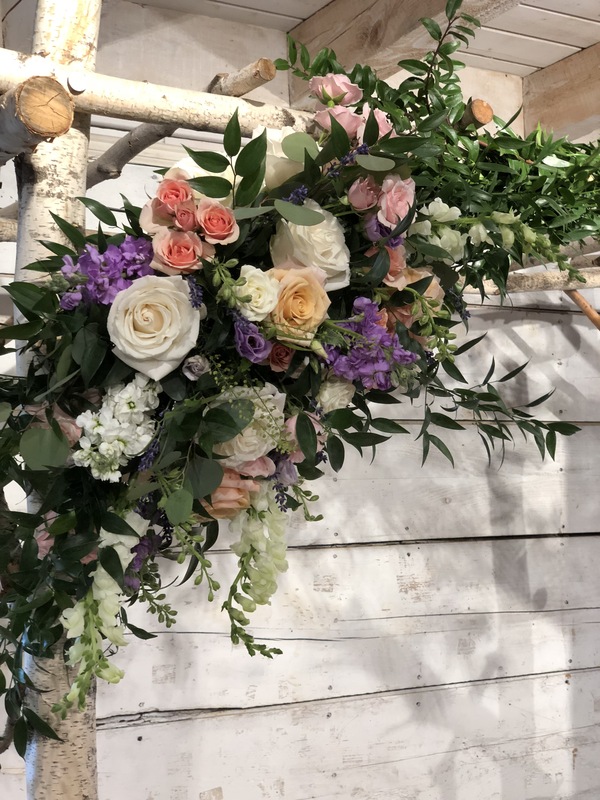 Flowers featured in this bouquet include peonies, roses, freesia, stock, sweet peas, lisianthus, callas, roses, ranunculus, lady’s mantle, mock orange and fresh lavender. The maid of honor carried a bit more color including a few touches of pinks and peach! 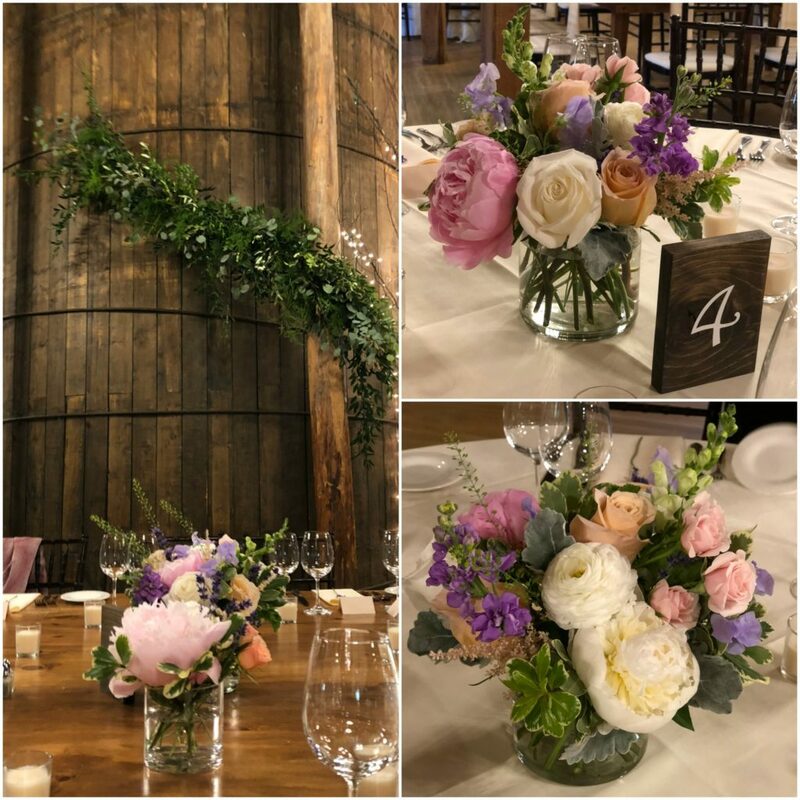 The reception in the historic Round Barn featured summery centerpieces with peonies, roses, astilbe, snapdragons, sweet peas, dusty miller, ranunculus and spray roses. 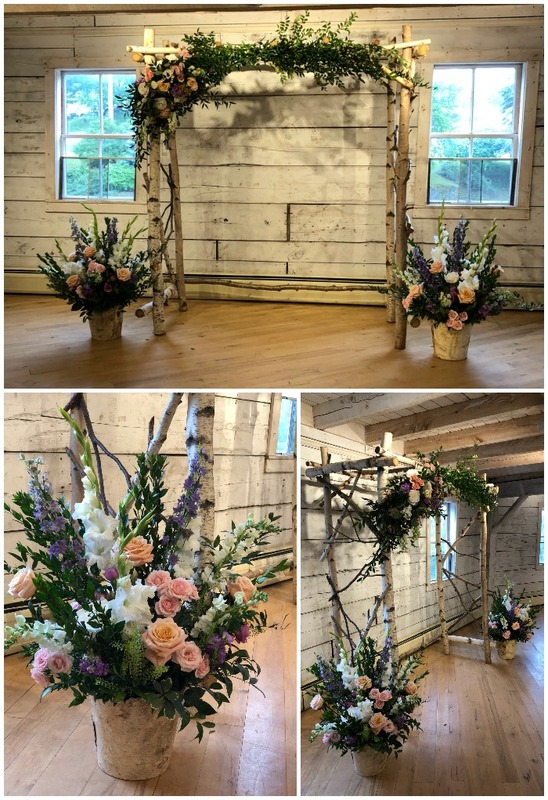 This beautiful day brought some showers with it so the ceremony took place indoors under the birch arbor….so what if it rains? That’s what a back-up plan is for! There will be more photos to come when I get professional images from the stellar pros who worked on the team for this wedding! So stay tuned…..